Tuscon Roadrunners vs Springfield Thunderbirds friendly match? As an avid fan of the Springfield Falcons, this season I felt a little bit left out when I couldn’t see any of their games. 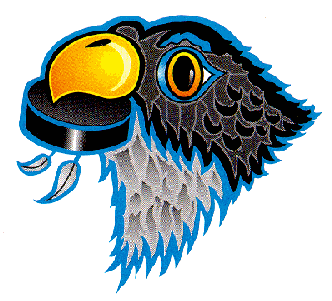 Let’s remind ourselves that the Falcons, team that called Springfield, Massachusetts and the MassMutual Center their home for over 20 years, and even longer as the Springfield Indians, was sold to Tuscon at the start of 17/18 season. Springfield in turn got a new team, former Portland Pirates, which are now called Springfield Thunderbirds. Is there any chance we can get a friendly match between the Thunderbirds and the Roadrunners? I know that the chances of something like this happening are pretty slim, but still, it would be kinda awesome, seeing the former Falcons play at the MassMutual, even if they are wearing different jerseys now. Maybe something like this can happen a couple more years down the line, at the 5th, or 10th year anniversary of the Falcons leaving Springfield. If you want to see this game happen, make sure that you yell at the social media profiles of both the Roadrunners and the Thunderbirds. Social media looks like a great way of showing both teams that we want to see something like this happen. Maybe I’ll even setup a gofundme campaign for this, to pay for the trip. What do you think, should we setup something like this? 2017 Calder Cup winners – how close were the Springfield teams?